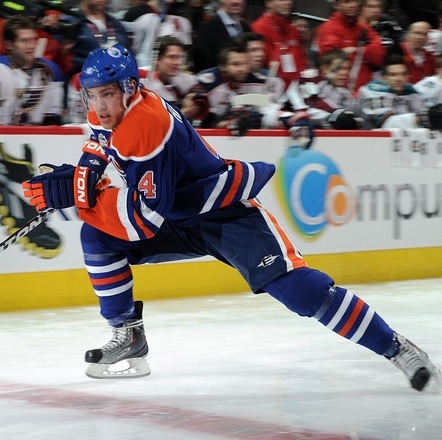 The forward stride is the most used movement in hockey, however many players neglect to try to improve it. Many players think that once they can skate and move forwards they are fine, however even PRO hockey players continue to work on their forward stride throughout their entire career! The forward stride consists of a push, glide and recovery. In order to have a smooth stride you should have good knee bend, a good push using your edges, good balance glide and knee bend in your glide leg and a fast recovery. The key to speed is stride length and stride frequency. This is true when skating in a straight line, which happens with the forward stride. Once you get into higher level hockey we also want speed in lateral movement, crossover speed, pivots, agility, etc. 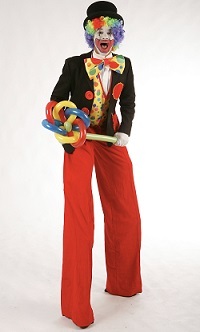 You know those guys who walk around on stilts at the circus? Some hockey players look like that on the ice. If you want better balance, agility and power, and a longer stride BEND YOUR KNEES! This is when the player skates with their feet very wide apart and just barely pushes with each foot. The stride length is very small, the skates are both only using the inside edges, and there is very little balance or glide in the glide leg. You want your recovery to be efficient and quick. Many players skate like they run and kick their heels up before planting their foot again for another stride. This wastes time and energy. Your recovery should be almost straight back and under your hip for another push. Love the kid in the back off ice! Where Can I buy dvd’s on forward stride and other skating and shooting improvements ? There are some old videos available for skating and shooting but I’m not aware of any very popular ones. I know Sean Skinner has a series on skating, and Brett Hull has a shooting video. I will be producing a skating DVD soon using the instruction of a number of skating instructors. Also I know an NHL shooting coach that is working on a shooting DVD so I will post to the website when that is available. Some good stuff here, but I have a quick question about “Rail Road Skating”. I get that the short strides are inefficient, but you mention ” the skates are both only using the inside edges”. My question: is there something wrong with that? Are you saying there is a way to improve your forward stride by skating part of the stride on the outside edges? Using your inside edges for the push is fine, however using only your inside edge for the glide while the other leg is pushing is not efficient. When you recover the glide leg should be under your hip, which should put your blade on the hollow (not really using any edges), this will allow for the least amount of resistance, and also give you some more room to push with each stride. Speed skaters actually bring their foot so far under their body that they recover onto their outside edge, however hockey players do not get skating fast enough so they do not require such a long stride.